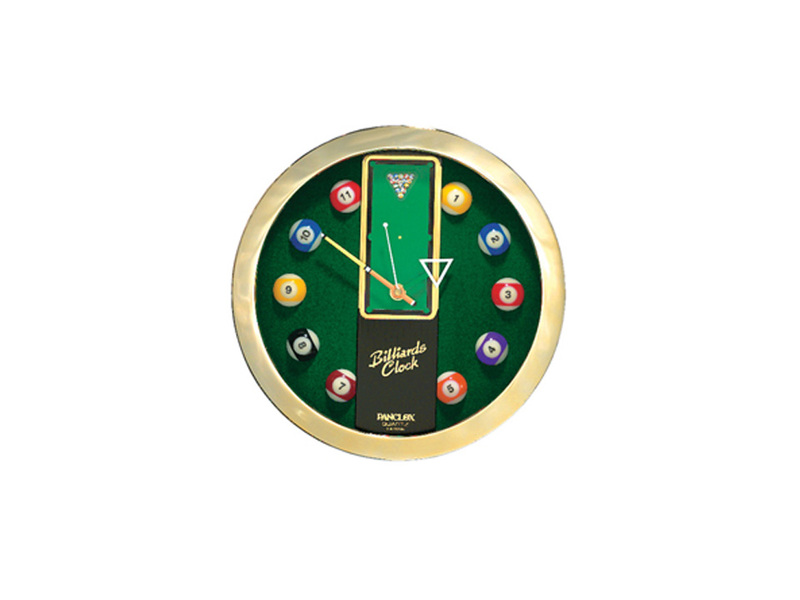 This quartz round pool clock features miniature billiards balls for each hour of the day, and the hands spin around the end of a pool table in the center of the clock. This clock requires one AA battery (not included). 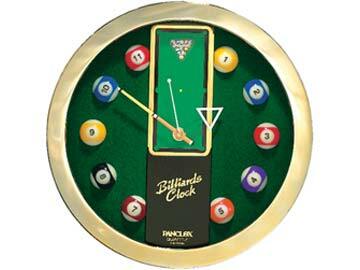 This is a playful clock that will add some pool pride to your room.